Thank you to all who attended and supported our Adult Science Night! The evening was filled with lots of laughs and wonderful experiences. We look forward to seeing you all at the next one! 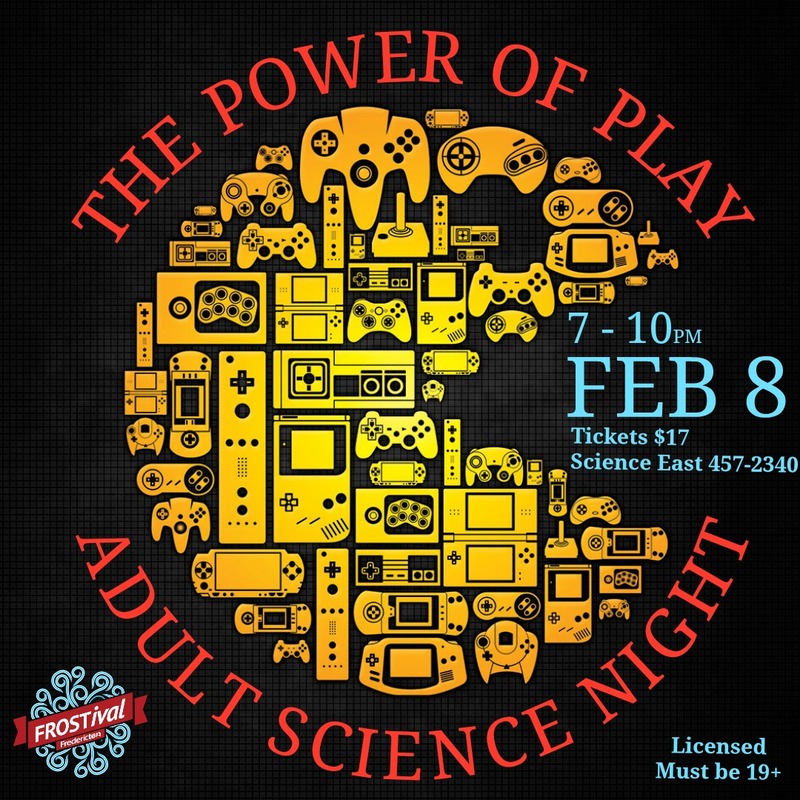 Frostival’s annual Adult Science Night heats up with The Power of Play, February 8th , 2019 at Science East Science Centre!! Explore the fun, fear and frustration that have attracted humans to challenge their brains and bodies throughout history. Enter a world of carnival hucksters, video game time-warps, and robot hockey… or test your superstitions in the bowels of the old jail with spine tingling parlour games. Tickets: $17+tax. Licensed event, must be 19+. Sponsored by Fairview Jeep Ram.